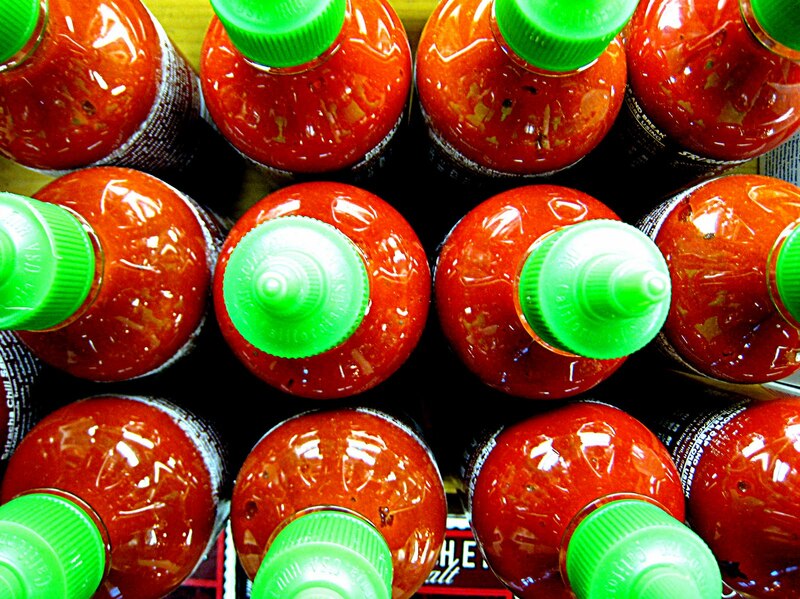 Sriracha (pronounced sir-ra-cha) has become something of a celebrity in the condiment world. Halloween costumes, fan girl embroidery, hipster shots, ingredient of the year awards...sriracha has a pretty serious following. There are countless brands of sriracha, but we prefer Huy Fong's "Rooster Sauce" (along with the folks at the NY Times). The Rooster bottle recommends using sriracha on "soups, sauces, pasta, pizza, hot dogs, hamburgers, chow mein or on anything" so I suspect they have a hidden camera in my kitchen. 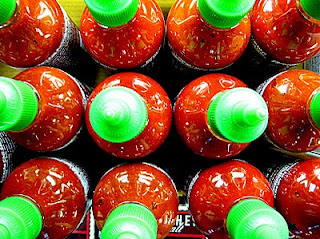 Don't be mistaken; sriracha is no elementary hot sauce . Its flavor has a delicious smoky complexity and the texture is much thicker. Heat seems to slightly vary from bottle to bottle, but even at its hottest sriracha isn't too dangerous. Note: while refrigeration isn't required, keeping your bottle in the fridge will help retain color and flavor.